Exclusive £45 Gift Card with New £25 or Over p/m SIM Only Tariffs at O2 Be rewarded when you take out a new contract over £25 a month with O2! Once your purchase has been verified, you'll be able to choose from a number of amazing gift cards. Exclusive £30 Gift Card with New £35 - £39.99 Mobile Handset Pay Monthly Tariffs at O2 Don't miss out on the chance to get a £30 gift card with your next new phone tariff purchase with O2! Once your purchase has been verified, we'll email you how to claim. Exclusive £10 Gift Card with New Pay Monthly Tablet Contracts with 2GB Data or Over at O2 - New Customers Looking for a new phone contract? Order from O2 and get a £10 digital gift card of your choice! Once your purchase has been verified we'll email you with how to claim. Free Next Day Delivery on Orders at O2 Can't wait for your order? At O2 you don't have to! Free Gift with Selected Contracts at O2 Get a little something extra with your next phone contract from O2. 20% Off Airtime Plans for Students with Sign-Ups or Upgrades at O2 If you are a student and sign up to an O2 contract or upgrade your existing contract through the O2 Refresh Plan, you can benefit from 20% off airtime plans! £0 Upfront Cost on Selected Phone Contracts at O2 How would you like save on your next mobile contract? Discover £0 on upfront costs at O2. Free Click and Collect on Orders at O2 Orders online, and instead of waiting round for delivery collect it in-store at a time that suits you from O2. Up to 12 Months Free Netflix Subscription with Selected Tariffs at O2 Time to get TV bingeing - you can now get up to 12 months access to Netflix for free with selected tariffs! 25GB for £20 with 12-Month Sim Plus Free Roaming at O2 Get an amazing amount of data with the 25G sim at O2 and use your phone around the world without the extra charge! There are good networks, and then there’s O2. With 25 million customers and the highest customer satisfaction of any mobile provider (as rated by ofcom), O2 is the undisputed king of the mobile service providers. Just a quick glance at their website, rated Website of the Year 3 years running, and you’ll see why. Their large collection of devices means you’re sure to find the phone that’s right for you. But the hardware selection doesn’t end there, O2 leads the way in providing great deals on tablets, smart-watches and fitness trackers too, so you can get the latest tech innovations for less. O2 is committed to helping you get even more out of your phone with a variety of apps. You can track your usage, monitor your network coverage, access exclusive Priority Offers and control your home when you’re on the go with O2’s app selection. Get more out of your phone with O2. How do I use my O2 promo code? O2’s Like New section means you can get the handset you’ve always wanted whilst saving plenty of cash for the things you love. Can I get an O2 student discount? What’s the O2 coverage like? O2’s coverage is consistently brilliant, and their coverage checker means you can keep tabs on what you can get in your area. Can I recycle my old device with O2? Yes! O2’s recycle scheme will give you a quote for your phone in seconds. My O2 phone is broken, what do I do? Don’t sweat! O2’s handy gurus are there to help. You can contact them online, in store or on twitter and they’ll be happy to help you get your phone back to its best. My O2 contract doesn’t end a while, can I upgrade sooner? Of course. 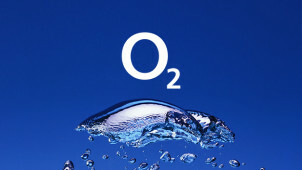 In fact, O2 Refresh will give you 25% off your remaining contract when you upgrade. Delivery is free on all devices, sims and accessories. Plus, if you order before midnight Sunday - Thursday, you’ll get your device the next working day. If your device develops a fault within 30 days, you’ll get a brand new replacement or your money back. If it’s been more than 30 days, some charges may apply. Make a saving resolution with O2, a company that has been wowing customers with its great service and stunning value since 1985. Choose from a great range of handsets, sim-only deals, pay as you go bundles and more. Your new handset or deal could cost less than you think with an O2 promo code and as an O2 customer you’ll enjoy comprehensive network coverage, rated one of the country’s best. Keeping in touch has never been easier with O2. O2 Priority offers are some of the best out there. With O2 you can save with some of its amazing deals, whether it’s a delicious coffee, the latest bestselling thriller or perks at one of its stellar entertainment venues. With O2 Priority, you can get tickets to your favourite events 48 hours before anyone else and once you’re there you'll enjoy 5-star treatment like fast-tracking the queue and relaxing in an O2 venue’s exclusive blueroom. Can’t bear to part with your phone or tablet? No problem. O2’s new 4G phone sims can give you up to 25GB of data and with an O2 discount code it could cost less than you’d expect. Its tablet sims take up to 40GB of data and come with O2 Wifi, meaning you can stay connected wherever you go. Get the most out of your favourite device with a new sim from O2.